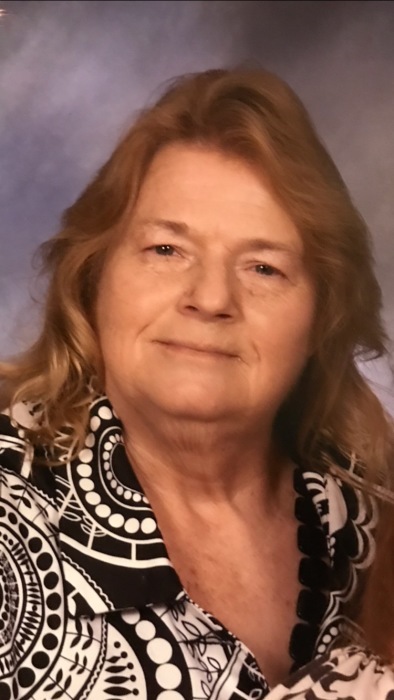 Ms. Brenda Fay Parker, age 72, of Lucedale passed away November 12, 2018. She was born Brenda Fay Clark on March 25, 1946 to the late Mr. Clifton Leroy and Velma Dickerson Clark. She was a member of Barton Baptist Church and enjoyed cooking for her family. She was a beloved mother, grandmother and friend to so many. She will be greatly missed. She is preceded in death by her husband, R.C. Parker, Jr.; son, R.C. “Mickey” Parker III; parents, Leroy and Velma Clark; sisters, Barbara Lee and Marilyn Terry; brothers, Jerry, William and James Clark; father and mother-in-law, Ross and Hazel Parker. Those left to cherish her memory include her children, Lisa Brewer of Lucedale, Scotty parker of Lucedale, Greg (Diane) Parker of Mobile, Michael Parker of Donaldson, Arkansas; daughter-in-law, Debbie Parker; brother-in-law, Duane Parker; sisters-in-law, Evelyn Howell, Dotsy Clark and Lorena Clark; grandchildren, Cassi, Mallory, Scott, Jermey, John, Elisha, Gary, Brooke, Chris, Kerry, Alex, Rachel and Mikey, 21 great grandchildren and one great-great granddaughter, numerous other relatives and friends. Ms. Brenda Fay Parker will be laid to rest beside her husband in Barton Baptist cemetery. The family will hold a Memorial Service for Ms. Parker at Barton Baptist Church on Saturday, November 17, 2018 beginning at 11:00 AM. Moments Funeral Home in Lucedale, Mississippi is honored to be in charge of these arrangements.